Debating - We are the champions! A HUGE Congratulations to Lynfield's Advanced Premier debating team for winning the Grand Final of the Premier Advanced grade of the Russell McVeigh Auckland Schools Debating competition for 2016. 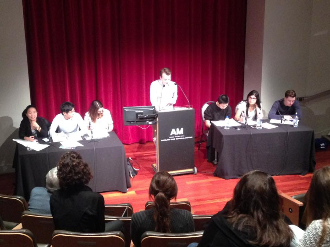 They are now the reigning champions in the very competitive world of Auckland debating. 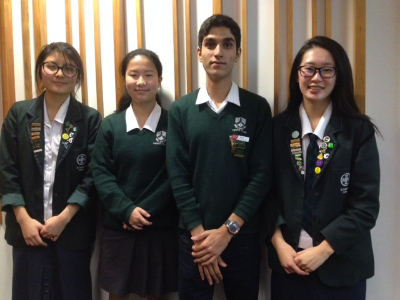 Year 12 students, Jia Dua, Karan Kalsi, and Kitty Sun successfully affirmed in a unanimous decision "this house believes social movements (e.g. Feminist movement, LGBT movement, race-based groups such as Black Lives Matter) should not criticise the views of those outside their movement on the basis of their privilege," beating Diocesean School for Girls, also a Year 12 team. This is the first year Lynfield has ever had a team entered in the top grade, and to come out on top of the best teams in Auckland is a testament to the incredible talent that we have here at Lynfield. The Grand Final and prizegiving took place at St. Cuthbert's College in front of a packed auditorium that included a number of Lynfield's teachers, parents and debaters. Debating Coordinators Mrs. Wagner and Mr. Bangs wish to thank the hard work and dedication of all of the debating coaches and managers including Mrs. Wiggins, Mr. Daly, Mrs. Carswell, Mrs. Christie; Ms. Leafberg and Mr. Halligan. And a very BIG thank you to student coach Karan Kalsi, who helped make this year a great success for Lynfield Debating! 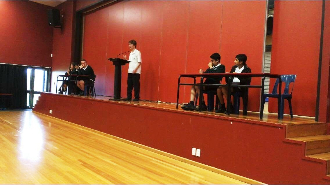 40 of Auckland's top debating teams competed in four rounds of The Auckland Secondary Schools impromptu Debating Tournament at Westlake Boys College. The impromptu rounds challenge students to speak on a range of topics from the Auckland Housing Crisis to Reality TV in a very limited preparation format. Debaters only have minutes to develop points and then articulate and develop their ideas into well-structured arguments in their attempt to persuade Auckland University Law student adjudicators. Three teams from Lynfield competed. At the end of four rounds, breaking into 4th place and into the quarter finals was the dynamic duo Karan Kalsi and Kitty Sun, who went on to repeat their fine performance from last year and reach the semi finals. 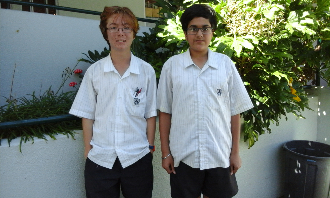 Karan was also selected for the Auckland Regional Impromptu Team, along with Zachary Wong (MacLeans College). Well done to all the fine debaters! The Lynfield Debaters have been very busy in the start of Term 3. Last Sunday, the Auckland War Memorial Museum presented the Against the Tide debates on the issues surrounding our social obligations during a time of war. 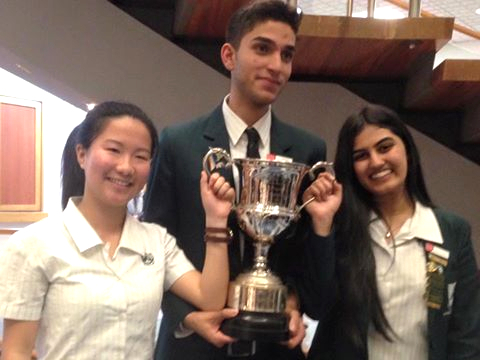 Auckland University Debaters teamed up with the best debaters in Auckland Schools Debating Regional team and development squad members (including Lynfield College students Karan Kalsi, Kitty Sun and Harry Ashley) to tackle the issues in two semi-final rounds: the winners would then square off in a final round. The debaters were encouraged to use the historical information that they gathered from the Museum's exhibitions on the topic in their arguments. A senior historian at the Ministry for Culture and Heritage, and Law and Political Studies students adjudicated the debates. Congratulations to Kitty Sun, whose team won the final! Looking forward: Kitty and her Advanced Premier team will compete in the upcoming ASD Impromptu Cup tournament on August 20th and 21st. Last year, her team went all the way to the Semi final in this event. They are looking to do one better and make the final this year. The team have also progressed to the quarter finals of the Advanced Premier Grade and we wish them all the best! On Monday and Thursday of the second week of Term 3, the Lynfield Junior Open debaters put on a show debate for local primary schools students, who are learning about how to deliver persuasive speeches. 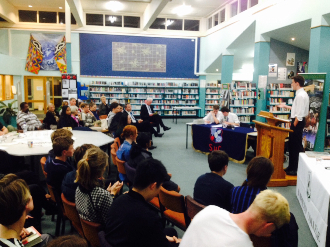 The moot for both debates was "That cats make better pets than dogs", which proved to be highly engaging as well as entertaining (especially so for Speaker of the debate Joesph Hisayasu: he was especially convincing and funny and was invited to speak in the second debate at Blockhouse Bay Primary with an even larger audience of about 100 students). The points of clash were largely around what makes a good pet and issues such as cost, aggression and caring for the animal, which were argued well on both sides of the issue. The primary students and teachers were very appreciative of their time and effort. Looking forward: The Junior Open team Lynfield 2 debate in the Octofinals on the 8th of August and we wish them all the best! 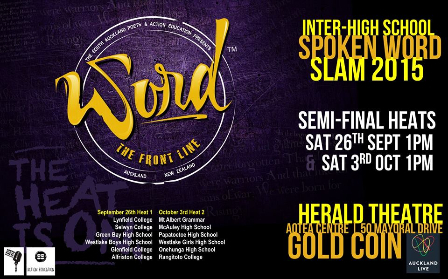 Once again the Lynfield College spoken word team has made it through the gruelling auditions to qualify for Word The Front Line16 Inter High School Poetry Slam. 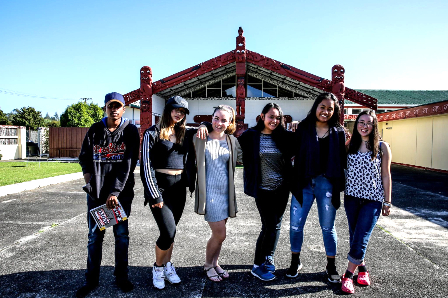 They have been to a slam camp at Te Puea marae and have attended a series of Saturday workshops at the Auckland Art Gallery and NOW they are about to step on to the stage in the first heat of the semi-finals. Our talented and courageous team members are rehearsing (probably even as you read this) and are gearing up to present three duo performances for each of the three heats. Wish them well when you see them, or even better, go along to support them at the public event on Saturday August 6 at the Herald Theatre in the Aotea Centre. The show starts at 1pm and there is Gold coin entry. Practise those finger clicks and get ready to appreciate, admire, applaud! All are in Year 12 except Bridget who is in Year 13. 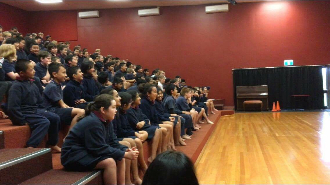 Congratulations to Elizabeth Fa’amamafa who won the Auckland Regional Final of the Race Unity speech competition. The theme ‘Stand Up for Race Unity – don’t be a bystander! Tū mai, tautokona te kotahitanga o ngā iwi – kaua e tū atu!’ was chosen by the Human Rights Commission for Race Relations Day and adopted for this speech award. In a moving, personal speech, Elizabeth explored the ways we might either accept or reject social perceptions of race and identity placed upon us. A special Year 13 assembly has been held to acknowledge Elizabeth’s success and we were honoured with the presence of these special guests: Rakesh Naidoo representing the Human Rights Commission; Area Commander, Inspector Jacqui Whittaker representing the NZ Police and Eric Neal, representing the NZ Baha’i Community. Elizabeth shared her speech with her peers and was then presented the shield by Area Commander Jacqui Whittaker. Speeches were also delivered by each of the invited guests. After the presentation of the shield 7 students performed a moving haka in honour of Elizabeth’s success. As in previous years, the standard of speech making throughout all of the competition rounds was outstanding. Congratulations also to Khadija Bari (13LF) and Elysha Negi (13LF) for their participation. Images below show Elizabeth with the special guests at her assembly, her proud family and her peers from the Student Executive. 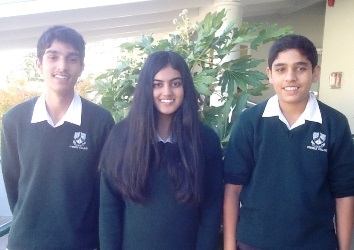 Earlier this month Mr Bangs took Lynfield's Senior Premier Debating team: Year 12 Karan Kalsi, Kitty Sun and Year 11 Harry Ashley (subbing in for Jia Dua who was busy winning the National Robotics title) to compete in the Auckland Schools' Debating Seasonal Championships. This is the opening one day tournament of the season, and gets debaters back into shape after the long break. The LYNFIELD team placed 3rd overall (about 30 teams compete), which was an excellent result. This was the first time Harry had really been noticed by the adjudicators who were very encouraging. Last weekend, Ms Wagner and Mr Daly took Lynfield's Junior and Senior Premier Teams to compete in the Russell McVeigh NZ Regional Championship Tournament. 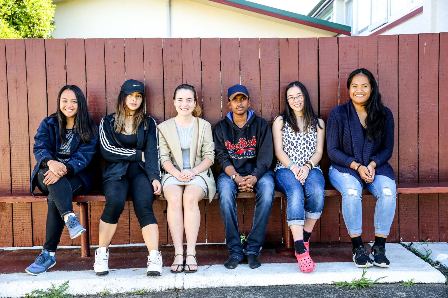 This tournament tests the debaters from high schools across Auckland in seven challenging rounds over the course of the weekend. At the end of Saturday's four rounds, the top eight teams with the most wins and speaker points broke to the final rounds, which took place on Sunday. Lynfield's Premier team (below left) was the only team to win all four rounds, and had the highest speaker points, putting them in first place moving into the quarter finals. The team made it into the final debate but were beaten by Diocesan's most senior team. While the most wins lead to the winning cup for a team, it is the individual speaker points that matter most to each debater. The top eight speakers with the highest points are selected for six coveted spots (plus 2 reserves) on two Auckland Regional teams. These teams train together and will then compete in Wellington at Nationals, in May. There were also seven spots on the Development Squad up for grabs. 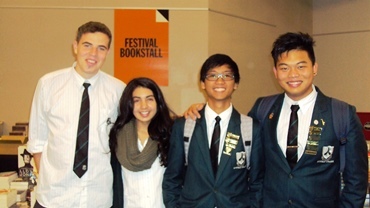 Three Lynfield debaters: Kitty Sun, Jia Dua (who also received a Highly Commended award), and Year 11 student Harry Ashley, were selected for this squad. Harry (above right) - a member of the Junior Premier team, and reserve member for the Senior Premier- made a favourable impression on the adjudicators in his second tournament. His stunning performances, alongside Year 10 students Raymond Feng and Michael Howell, who subbed in for Harry's teammates, led him to winning Most Promising Speaker for the Tournament, as well as a spot on the Development squad. At the end of the day, no other school had more accolades than Lynfield! Well done! 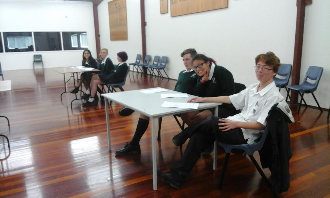 Congratulations to three Lynfield College Junior Debating teams for winning their first round debates in the Auckland Schools Debating Junior Open. 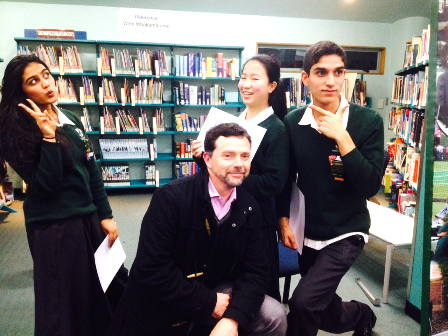 A great effort was also put in by the Lynfield Year 9 team in their very first debate ever. 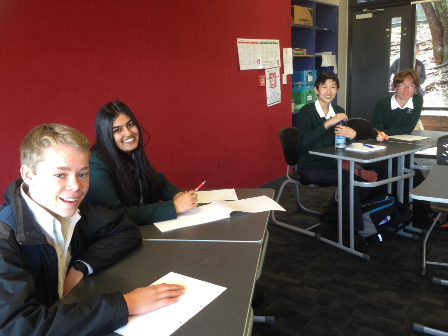 This year, the Western Zone debates of the Auckland Schools Debating competition are being held at Lynfield College, which gives the students a home school advantage. Ms Wagner and Mrs Wiggins have been joined by Ms Leafberg with organisation of the debates and adjudication. 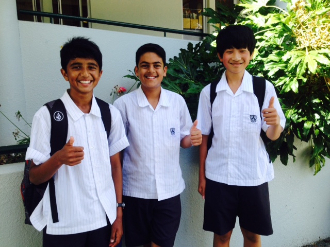 The Junior Premier team has their first debate next week and we wish them all the best! Fortunately, our debaters are getting weekly expert coaching by Karan Kalsi, (right) who has led them to early success with their wins. They will continue to develop their skills throughout the two terms in hopes that they can be one of the two teams who will break to the final rounds, where they will face very competitive Central Zone teams. 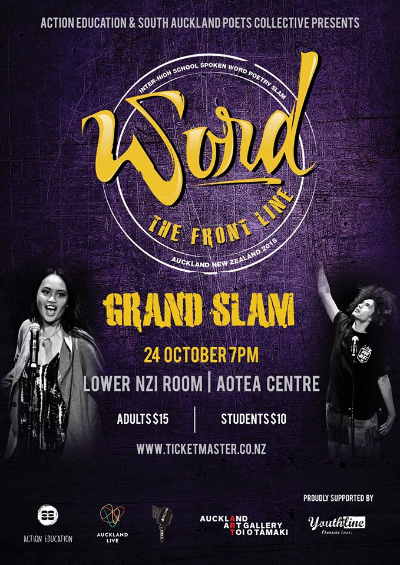 Auckland Secondary Schools’ Poetry Slam run by Action Education Inc and SAPC. Teen voices not all angst and gloom - Real life stories of light and hope are shared. 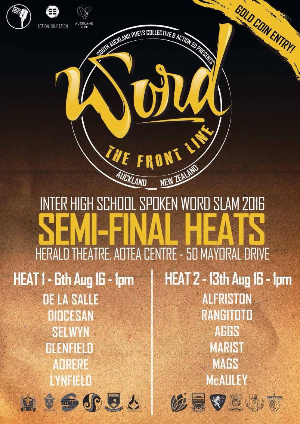 On Saturday September 26 the first of two semi-finals for WTFL was held in the Herald Theatre at the Aotea Centre. 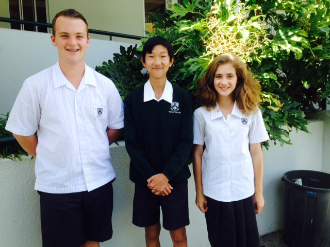 Six Auckland secondary schools were competing for the chance to go through to the grand final. Lynfield College students Naomi Moraes, Sachi Rathod, Bridget Logan-Haley, Jia Dua, Aleece Monkman and Melissa Paet, pitted their spoken-word poetry skills against students from the five other schools including; Green Bay High, Selwyn College, Alfriston College, Westlake Boys and Glenfield College. The teams were required to present poetry in each of three rounds. Teams could consist of between four and six performers. The rules require that all team members must have performed at least once by the end of the third round. This structure allows for single, duo and whole group performances. Each performance is judged by a panel of four judges who are award-winning performance poets themselves. The judges score the performances based on writing ability, performance capability and impact on the audience. The latter is measured by audience appreciation expressed by means of laughter, gasping, clapping and the universal poetry slam response of finger clicking. Although WTFL is a competition, it is also stressed that, “The point is not the points. The point is the poetry.” It is well to keep this in mind if you find yourself in the audience of a poetry slam. Judging the style and content of authentic personal stories and perspectives is an incredibly difficult task. Each performance is given a score out of 10 by each of the judges (40 points in total per team per round), with the final score for each of the teams (at the end of all three rounds) amounting to a score out of 120. 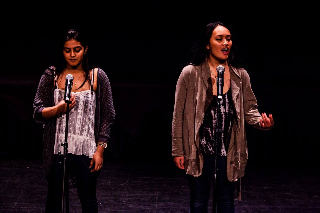 The Lynfield team chose to cover the event through three duo performances. Naomi and Sachi kicked off Lynfield’s first round with a presentation entitled Ahmed. They decided to use the story of the recent clock-boy incident in the US to highlight their own positive attitude towards education as well as their personal experiences of discrimination based on ethnicity and religion. For the final round, Jia and Melissa returned to serious matters that related to social and political divisions created by religious intolerance and extremism. They too connected to the audience through their own personal expressions of identity through spirituality. 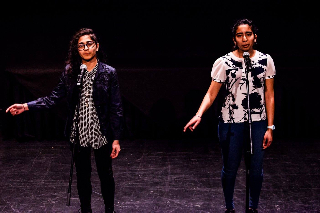 Poetry from the other teams was varied in content, highly engaging in delivery, and always firmly grounded in the personal experiences of the individual or group. And the great news for Lynfield is that the judges recognised the talent displayed, and our team is going through to the semi-final along with Glenfield College and Selwyn. Well done teams. The second semi-final held on October 3rd was an equally thrilling event with a difficult task for the judges. The top three scoring schools were announced, these included McAuley High, Mt Albert Grammar and Papatoetoe High. McAuley students will be battling fiercely to defend their title as champions in 2014. I know where I will be Sat 24th. See you there! 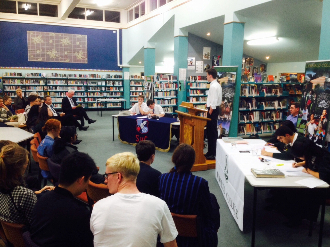 Students take part in an all-day competition against the best schools in Auckland in three rounds of impromptu debates. Each team of three speakers has one hour to prepare their argument. Each debater delivers a five minute speech, where they put forth their case and rebut the oppositions' arguments. It is a challenging format which draws on general knowledge and develops critical thinking, oratory, and listening skills. Despite not breaking into the final rounds of the tournament, all of the debaters performed to a very high standard and represented Lynfield with pride. This tournament concludes the year's competitions for this group who participated in the Junior Open, with one team breaking into the final rounds. We look forward to seeing what these students will do with their debating next year. And More Congratulations to our Debaters! 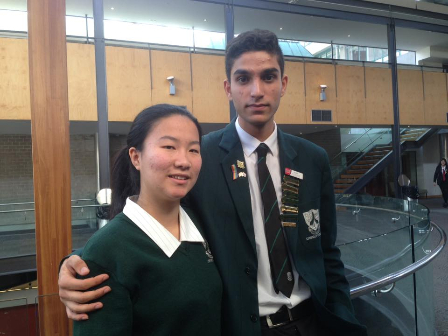 Congratulations to Kitty Sun and Karan Kalsi for reaching the Semi-finals of the Auckland Schools Debating Impromptu Cup Tournament that took place at Auckland University Law school Sunday 28th June. Here they are pictured with St. Cuthbert's best SENIOR PREMIER team, whom they narrowly lost to in their semi final debate. St. Cuthbert's went on to win the tournament. Mrs Wagner (teacher-in-charge of Junior Debating) and their coach, Mr. Halligan, were incredibly impressed with the sophisticated arguments the students were able to formulate in only 7 minutes of prep time. It was their first impromptu debate, and to reach the semi finals was a huge achievement. At their prize giving, Karan was selected for the "imaginary Impromptu Cup team", which is the only way to acknowledge the top 6 speakers at the competition (without the existence of an actual National tournament for them to compete in). 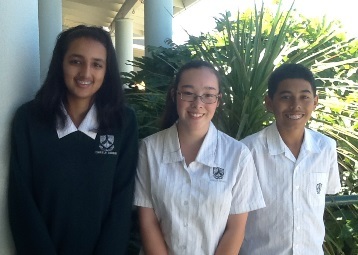 Furthermore, Kitty Sun has also been selected for the Secondary Schools Debating Auckland Regional Development squad, joining her teammates, Karan and Jia (who are already in the squad) to represent Auckland. Kitty, Karan and Jia are our Junior Premier team which is currently well placed with 6 wins and 1 loss in the preliminary rounds of the ASD Junior Premier Open Tournament to move into the final rounds. The break for the final rounds will be announced in the first week of Term 3. If they continue to show the form they have shown against more senior teams, we will no doubt be following a winning streak! Debating in Parliament - Karan makes his mark! 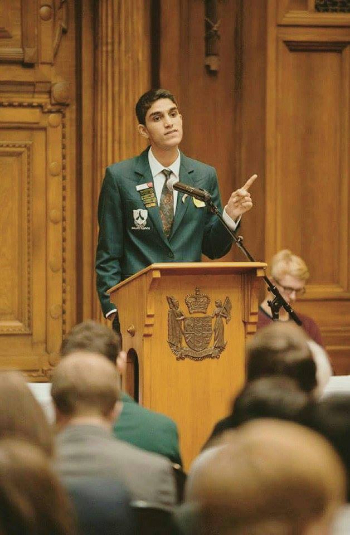 Lynfield College's Karan Kalsi was selected as a member of the Auckland White team which was narrowly defeated by Wellington Black, in the Grand Final of the Russell McVeagh New Zealand Schools’ Debating Championships held at Parliament recently. 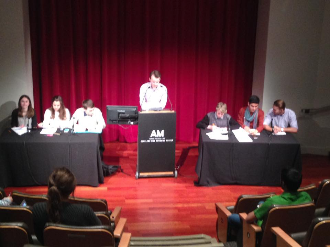 The final was the culmination of a weekend of debating between thirty six of New Zealand’s top secondary school students. The Championships, sponsored by Russell McVeagh, have been held annually since 1988 and are recognised as the country’s most prestigious school debating competition. Teams from Wellington, Auckland, Canterbury, Otago-Southland, Hawke’s Bay, Northland, Central North Island, Waikato and Kahurangi-Marlborough took part in seven preliminary rounds of debates, confronting such issues as whether criminal trials should be televised, whether alternative medicine should be banned, and whether President Obama deserved the Nobel Peace Prize. Karan is shown speaking during the debate. 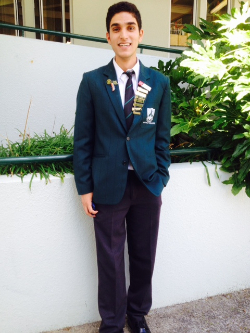 Congratulations to Gauri Prabhakar 13KK who won the Auckland final of the Race Unity speech competition. The theme of ‘Big Change Starts Small’ asked students to examine some challenging questions including: how far have we come as a nation since the signing of Te Tiriti o Waitangi (the Treaty of Waitangi) 175 years ago, and how might young people steer our nation towards becoming a more harmonious nation? At a special Year 13 assembly held to acknowledge Gauri’s success we were honoured with the presence of these special guests: Dame Susan Devoy, Race Relations Commissioner, representing the Human Rights Commission; Superintendent Richard Chambers, representing the NZ Police and Eric Neal, representing the NZ Baha’i Community. Gauri was presented with the shield by superintendent Richard Chambers following speeches by each of the invited guests. As in previous years, the standard of speech making during all of the competition rounds was outstanding. Congratulations also to Khadija Bari (12ET), and Andrew Sampson (13KK) who made it to the Auckland final, and also to Elysha Negi (12ET) for her participation. Gauri with our special guests after the awards assembly. Congratulations to Gauri Prabhakar 12KK who was one of six finalists competing in this year's National Final of the ‘Race Unity Awards’. As in previous years, the standard of speech making was outstanding. Gauri’s response to the theme I am Aotearoa New Zealand: Te ranga tahi / Together we grow included an account from her own life, a discussion of the place of The Treaty of Waitangi, and suggestions for the future as we appreciate our differences and grow together as a country. 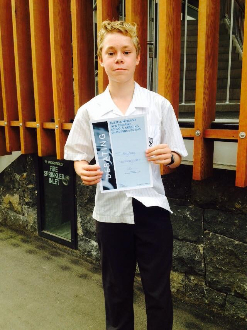 On Friday 5 September the Auckland Word Up competition final was held at the Corbans Estate Arts Centre in Henderson. The competition is open to youth aged between thirteen and twenty years. All work had to original and categories included the forms of rap, songs, poetry and spoken word performance. The competition was judged by Mark Williams and Dietrich Soakai, both of whom have international reputations in the worlds of broadcasting, music, rap and spoken word. There was a tough field of twenty acts that presented the judges with the difficult task of deliberating the runners up and overall winner. Congratulations to Rebecca Gandhi for being awarded the overall winner! with her spoken word piece entitled ‘Oddity’in which she explored personal ideas around cultural identity. Rebecca received a recording opportunity at Tonewheel Studios, publication in the online literary journal, Blackmail Press, an interview on basefm with Mark Williams, and automatic entry into the final of the Going West Readers and Writers festival poetry slam held in the Titirangi War Memorial Hall this coming Saturday September 13th. Rebbeca made a short speech upon receipt of the award on the night, telling the audience that one of her inspirations for writing had come in the form of a personal inscription to her from her favourite poet, Anis Mojgani , who had inscribed in the front of his book of poems bought for her by some friends; ‘you are a wondrous orchard’. Rebecca has taken this statement to heart and is bearing fruit from the orchard of her self in the form of her beautiful poetry. Alternatively, you could tune in to basefm on Thursday September 11 at 9am and listen to her interview with broadcaster-DJ and Word Up judge Mark Williams. I know where I will be this Saturday night. Bring Your Word - held in August's Arts Week. 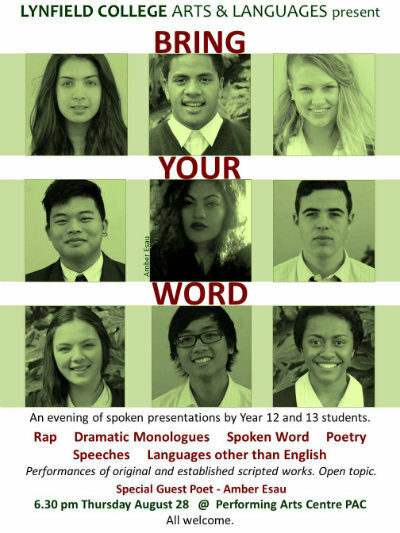 This special event provides opportunity for family and friends to hear presentations of the spoken word, performed by Year 12 and 13 students. Our special guest is former student Amber Esau. 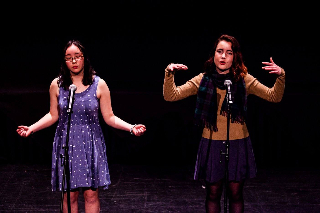 It is exciting that she is able to perform for students, many of whom have been exploring their own voices and stories, as well as creating characters to be presented through Spoken Word poetry. Amber was recently the guest poet at the long standing Poetry Live weekly performance event in Auckland Central and was extremely well received by the audience. She writes rich descriptive poetry and delivers her work with power. She is a fresh and authentic voice emerging on the local spoken word performance landscape. Amber has plans to travel and take her ‘word’ to New York in the near future. One of our students Gauri Prabhakar, who will perform on Thursday evening, has just had her poetry published. 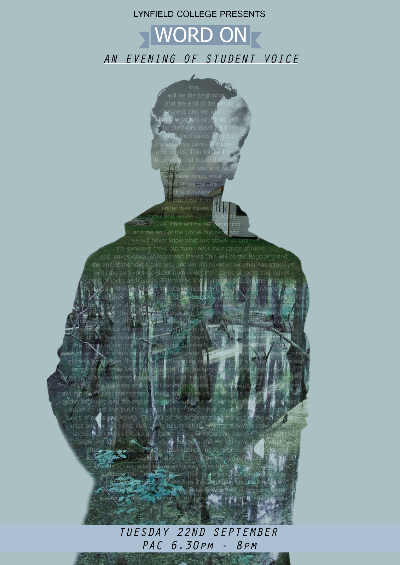 Her work is included in a new book entitled "A New Sense of Belonging: New Kiwi Voices 2014" ; this is the first publication of a literary arts programme New Kiwi Voices: Share Your Stories. Congratulations Gauri. There is a book launch this Saturday in Mt Albert. Congratulations to Lynfield College’s Year 10 Debating teams (Lynfield 1 and Lynfield 2) for winning the Western Zone of the Auckland Secondary Schools Junior Open. Staff members Sherry Wagner and Lucy Kajzer Hughes report that Lynfield 1 won four rounds and a fifth by default while Lynfield 2 won all five rounds of the competition. Both teams will be undefeated as they move into the Octo- Finals in Term 3. 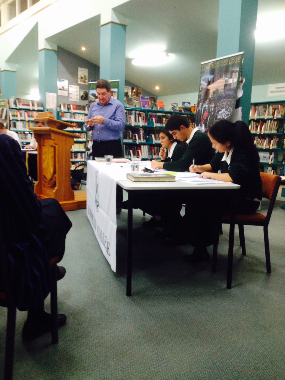 Lynfield Junior 1 Debaters in image on left above. 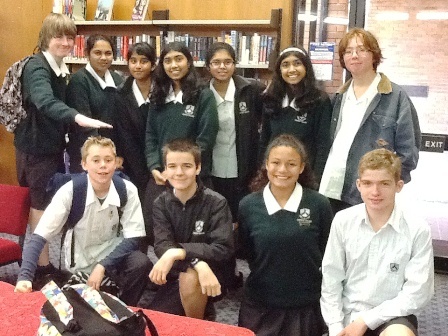 Lynfield Junior 2 Debaters in image on right above. We look forward to hearing what these teams can do next term! Students Step Up to Perform - and Win! When the College's newly-formed Spoken Word club received a very late notification of an Open Mic Night in Henderson, several students seized the opportunity. They attended the evening, grabbed the microphone and were very excited with the outcome! Rebecca Gandhi and Boaz Competente (second and third from left) performed the song "Put Your Records On" by Corin Bailey Rae - they won $100 each for the best musical performance of the evening. Gavin Feng (right) performed an original spoken word piece entitled "It's not the End" and the audience and judges were so impressed he won a mini ipad for his performance as the overall winner of the Open Mic Night. Congratulations to these students for rising to the challenge at such short notice and being confident and positive about their obvious talents.